At Waiotemarama Healing Space you have everything at your doorstep with secluded privacy and choices of taking in the wonders of bush, forest or ocean. Only minutes away you can experience Hokianga Harbour, Waipoua Forest and the Wild West Coast by the Tasman Sea. Local activities include horsetrekking, sandboarding, fishing, art trails and boat cruises. Only 2 kms from the cottage you will find The Maze at Labyrinth Woodworks and Puzzle Museum, which is adjacent to the Waiotemarama Falls and Kauri Bush Track. Across the road from the cottage you have access to a running creek where you and your family can explore or just relax. For those of you who wish to book a healing holiday, Jillyan offers one-on-one healing programs, which includes Kahuna massage, Reiki Healing and more. Please read the information on her website about Jillyan's work and her experience. Waiotemarama Healing Space is open all year round with self-contained comfort whether you wish to book accommodation only or choose to add a healing program, even during the winter. You can take time away from your busy lifestyle for peace and rest summer or winter. At Waiotemarama Healing Space Families and Small Groups can come to learn Meditation and Stress Management Skills. This may be over a 2 night weekend or during school holidays. During your stay your workshop can be spread over 2 days or longer. You can experience many fun meditations, walking meditations in the bush or along the wild west coast and many more. For more information please send an enquiry for web site address with details about Inner Voyage Holistic Human Development and Feeling Free Workshops. At the end of your workshop experience you will each receive a signed certificate. This is a wonderful gift to give to yourselves and your children. When Families Meditate together, the collective energy becomomes more productive, creative, peaceful and harmonious. Why not come during the school holidays? Smoking allowed outside only. Pets allowed outside and on a lead. We wanted to be close to Waimamamaku for the Wild West Festival. Waiotemarama was the perfect locality for us in this respect. We had a wonderful family weekend despite cyclonic weather. 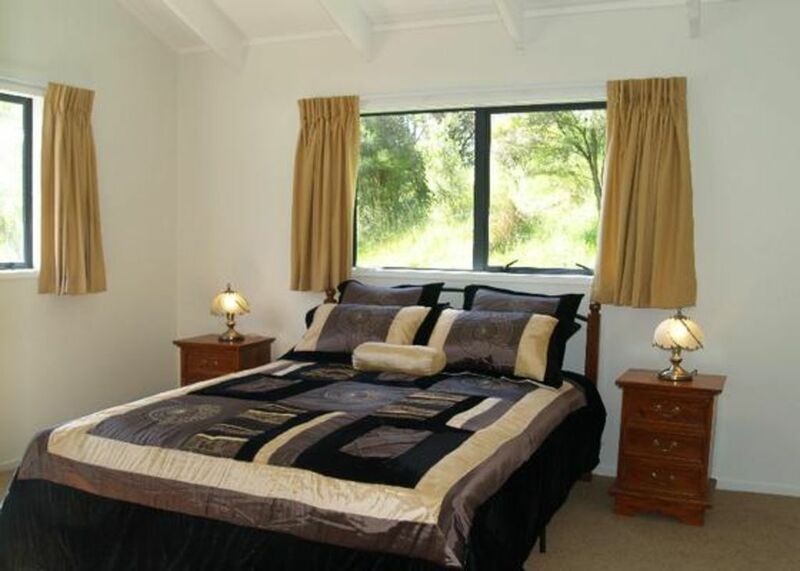 The accomodation is comfortable and affordable in a peaceful and idyllic setting. Jillyan is a lovely host :). Thanks for having us and we look forward to returning one day soon! Thank you so much for your lovely review. It was great having you all, such a friendly family and I hope to see you here again in the future. All the best for you all in the meantime. Amazing peaceful place and great host. We were especially impressed with the vegie garden and compost bin! Thank you so much for your generous comments and for making the booking. It was lovely having you all stay here and you are most welcome anytime in the future. Jillyan was an excellent host who made everything easy, from the initial arrangements to some last minute changes on our arrival day. She was thorough in her demonstration of the property, and even welcomed us to help ourselves to the vegetable garden. Jillyan also possesses a rich local knowledge which gave us plenty of ideas of things to do during our stay. All in all, we were glad to choose this place, and will definitely be back!